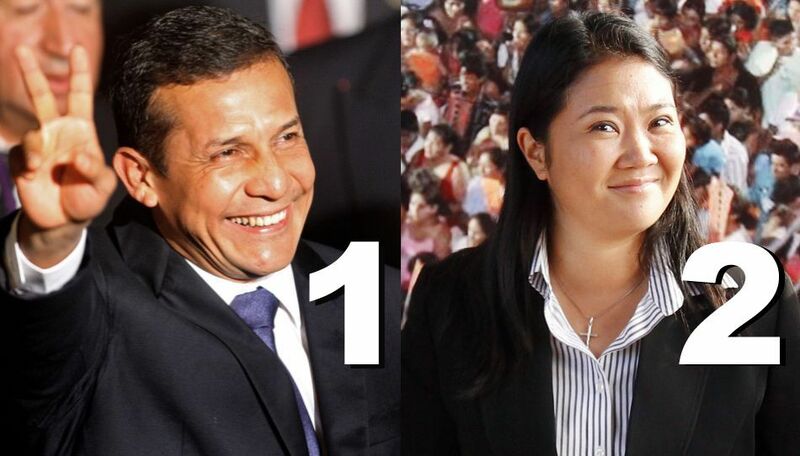 Exit polls for Peru’s 2011 Presidential elections are showing Ollanta Humala 52,6%; Keiko Fujimori 47,4%. Official election results are not due in until later, but it looks safe to say Ollanta Humala will be Peru’s next President. Image courtesy of El Comercio. Here are the up-to-the-minute Peru election results from La Republica, the only major Peruvian newspaper that had endorsed Ollanta Humala. Expect the Peruvian stock market and real estate prices to take a long overdue nosedive tomorrow, but I believe there are many great opportunities in Peru and Ollanta Humala has a chance to prove his doubters wrong. Results are not official yet, but congratulations to Ollanta Humala. This entry was tagged 2011, election, Peru, presidential, result. Bookmark the permalink.